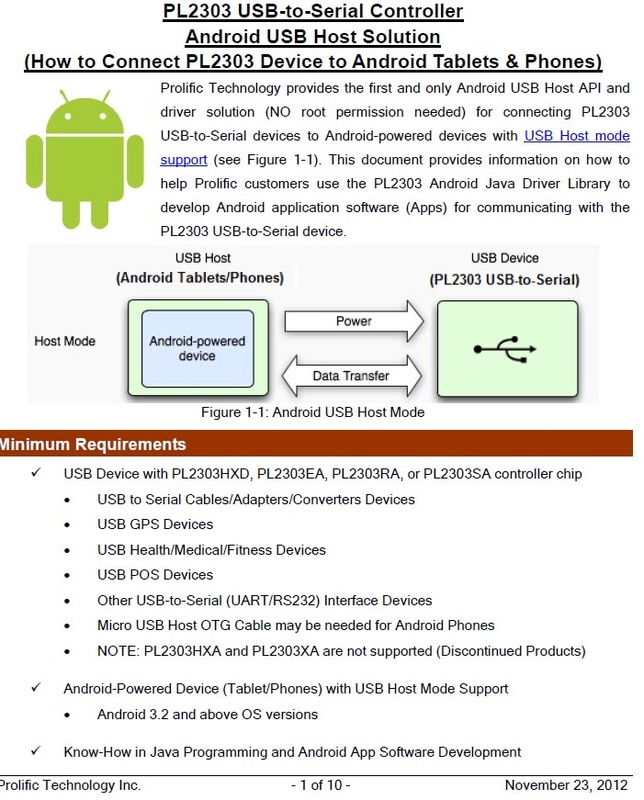 PL2303TA provides a convenient solution for connecting an RS232-like full-duplex asynchronous serial device to any Universal Serial Bus (USB) capable host. PL2303TA highly compatible drivers could simulate the traditional COM port on most operating systems allowing the existing applications based on COM port to easily migrate and be made USB ready without having to rewrite the COM port software application. By taking advantage of USB bulk transfer mode, large data buffers, and automatic flow control, PL2303TA is capable of achieving higher throughput compared to traditional UART (Universal Asynchronous Receiver Transmitter) ports.When real RS232 signaling is not required, baud rate higher than 115200 bps could be used for even higher performance. The flexible baud rate generator of PL2303TA could be programmed to generate any rate between 75 bps and 6M bps.PL2303TA is exclusively designed for mobile and embedded solutions in mind, providing a small footprint that could easily fit in to any connectors and handheld devices. With very small power consumption in either operating or suspend mode,PL2303TA is perfect for bus powered operation with plenty of power left for the attached devices. Flexible signal level requirement on the RS232-like serial port side also allows PL2303TA to connect directly to any 3.3V~1.8V range devices.